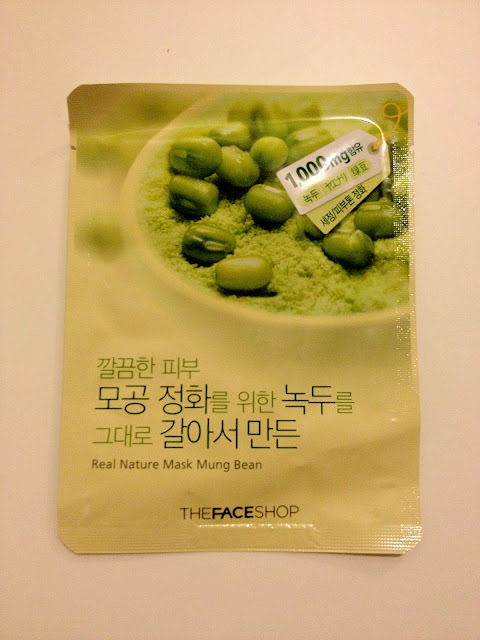 My latest mask is this sheet version from The Face Shop. I've tried a few from here since they are complete steal at $3-$5 and covered in delightful Engrish. Today I've picked out the Real Nature Mask in Mung Bean to slap on my skin that's just starting to feel that winter drain. I have zero idea why I chose this particular one out of the apple, peach, milk and other desserty-sounding varieties because mung beans are foul little things with sticky fingers sent to destroy otherwise tasty dishes by being all gross and fermented up in their business. The cloth mask thankfully didn't have a strong scent, just a light green soy smell. It's fairly easy to plop on, no excess fluid and the cloth was big enough to cover my entire face, even too big on the chin. After 15 minutes, I rubbed in the excess serum left and chucked my night cream on top. This mask claims brightening and rehydrating properties and while I felt nice and smooth afterwards, there wasn't any obvious brightening benefits. I did get a nice my dose of moisture though and my cheeks especially felt zomg amazing the next morning. If I can't look pretty, I reserve the right to do duck lips. 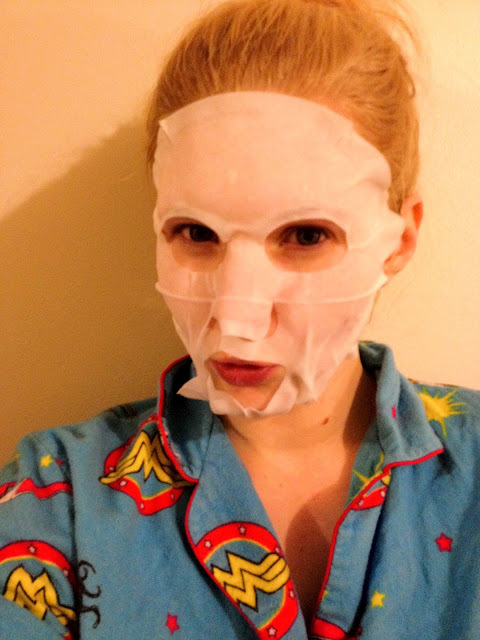 Boyfriend just looked over at the photo above while I'm typing this and he can't believe I'm willing to have a picture of myself using a face mask in my (rather fetching) Wonder Woman flannelette pyjamas up on the interwebs forever and ever. I'm never one to shy away from looking physically unattractive, and the truth is that trying to maintain your appearance isn't always attractive. It's not always beautiful or flattering to have a soggy cloth stuck on your face for smooth skin or plastic bags wrapped around your feet. But isn't it intriguing to see how much effort goes on behind the scenes in other people's powder rooms? 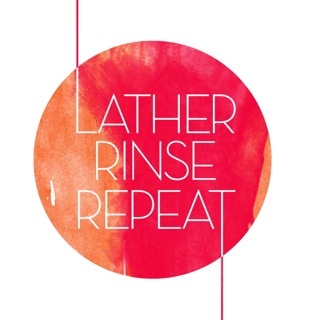 I'm very nosy and personally love seeing other bloggers show their unmade-up selves and what their routine entails, despite their boyfriend thinks about it. What do you think? Is less pretty, more gritty okay? Or am I bringing super shame on Boyfriend for my dorkalicious snaps? i follow you, visit my blog and follow me too if you want. Totally amaze, right? Flannelette forever! Mmm mung beans. I like your pj's. Stylin. Wished I'd seen Millionaire! Must have been a fun experience. I've posted Millionaire if you haven't seen already. Also my pjs are great, wearing them right now. But mung beans are gross! They have some yummier sounding ones, but maybe they won't give as glowy skin?